Other than a stray tornado or the occasional blizzard, we don’t see a ton of natural disasters in Minnesota. We’re too far from the coast to see any hurricanes and earthquakes don’t seem to affect us either. But we aren’t safe from a wildfire, and the Great Hinckley Fire of 1984 is a stark reminder just how ferocious mother nature can be. 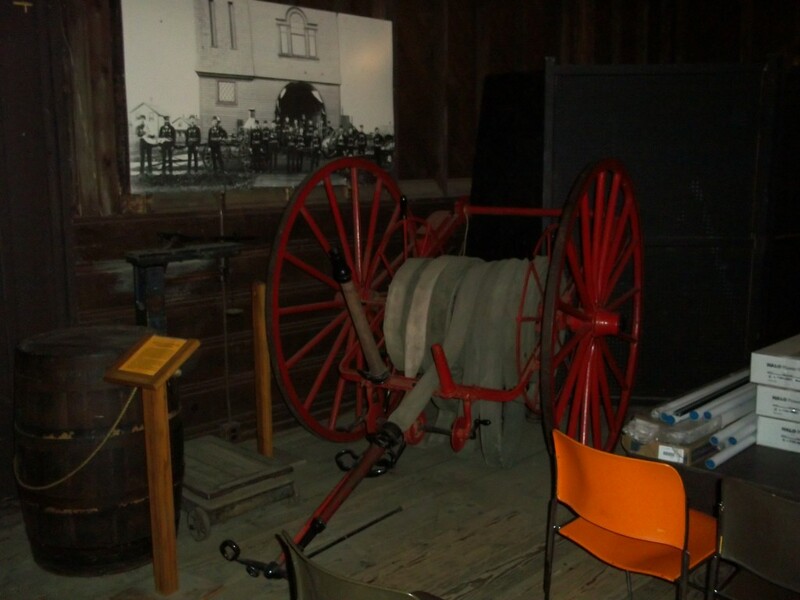 The Hinckley Fire Musuem tells about the fire that occured on September 1, 1894. It had been a hot, dry summer and drought conditions were common around the state. Historians are not exactly sure how the fire started, but when it did, it only took four hours to decimate the entire town. It didn’t help that the timber industry was booming right around then and the town of Hinckley was made entirely of wood. This was not a typical wildfire, either. The museum guide quickly points out that this was a firestorm, which combined dry conditions, hot weather, and a temperature inversion which meant smoke and gases were being held down by the huge layer of cool air above. The firestorm was said to be visible from the Iowa border (about 200 miles away), and reached temperatures of around 2,000 °F. The flames were allegedly up to 5 miles high, with as much force as an atomic bomb. When it was over, the fire had completely destroyed six towns and over 400 square miles of land. It’s truly unbelievable to think of something this devastating. 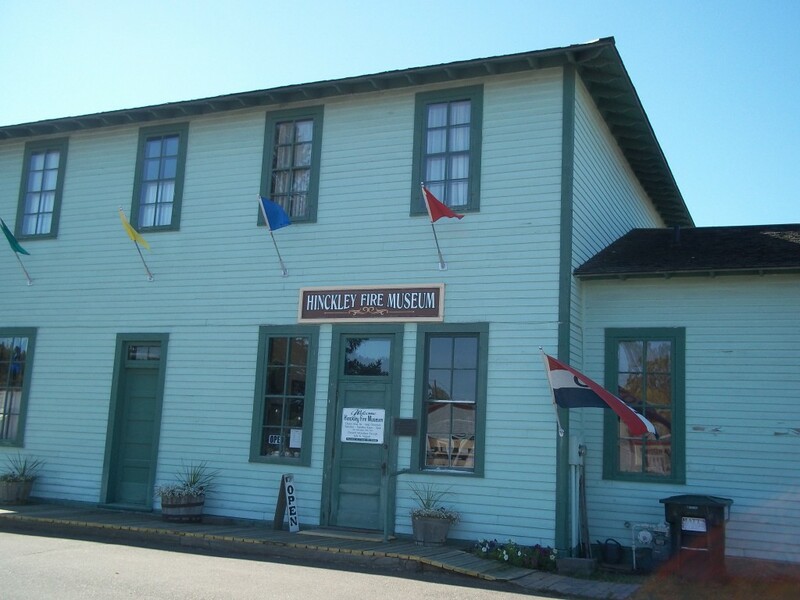 The Musuem is located in downtown Hinckley in an old train depot, which was built one year after the fire destroyed the first one. 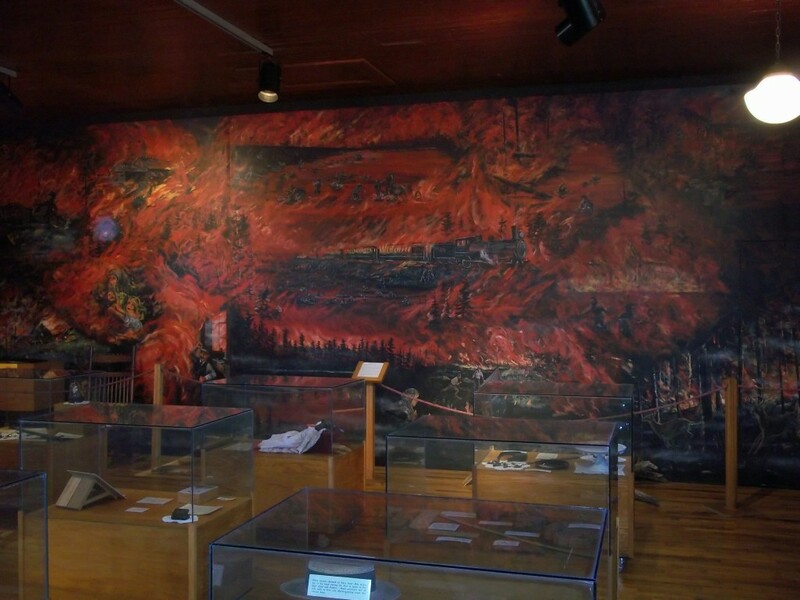 There are artifacts here from the town’s logging days, items recovered from the fire, and a large mural on one of the walls (above) depicting the horror of the fire. You watch a 20-minute video about the history of the town and the fire, and learn about the unsung heroes who helped save people from the devastation. The Museum also explains how the town rose back to prominence after rebuilding from the ashes. The Museum tour takes about an hour to do and is definitely worth a stop. It’s interesting to see the equipment used by the firemen back then (above) and you can even see the coroner’s tally book which has the names of all of the dead. One of the fire’s most notable victims is Thomas Corbett, the man who killed John Wilkes Booth (Lincoln’s assassin), although this claim is not authenticated. Also in Hinckley is the mass grave where about 250 of the dead are buried (above). 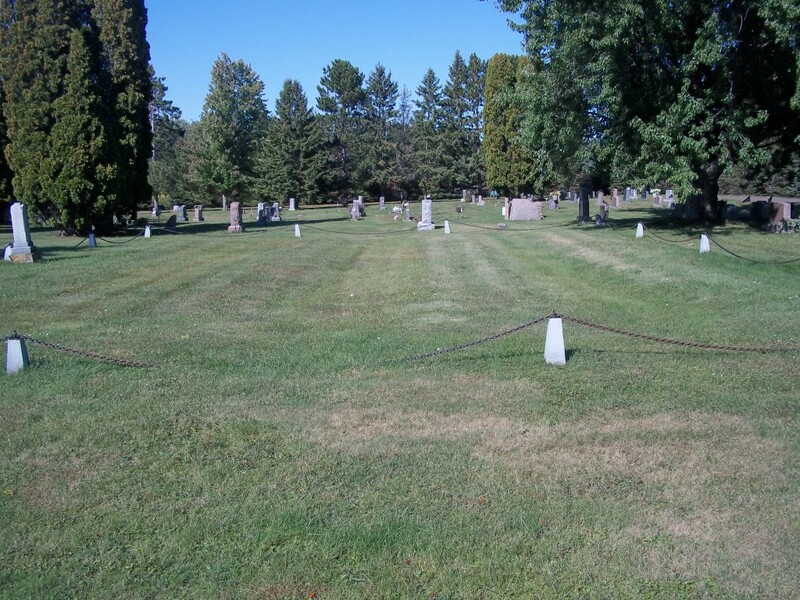 The burial mounds are chained off inside of a cemetery which has formed around it. 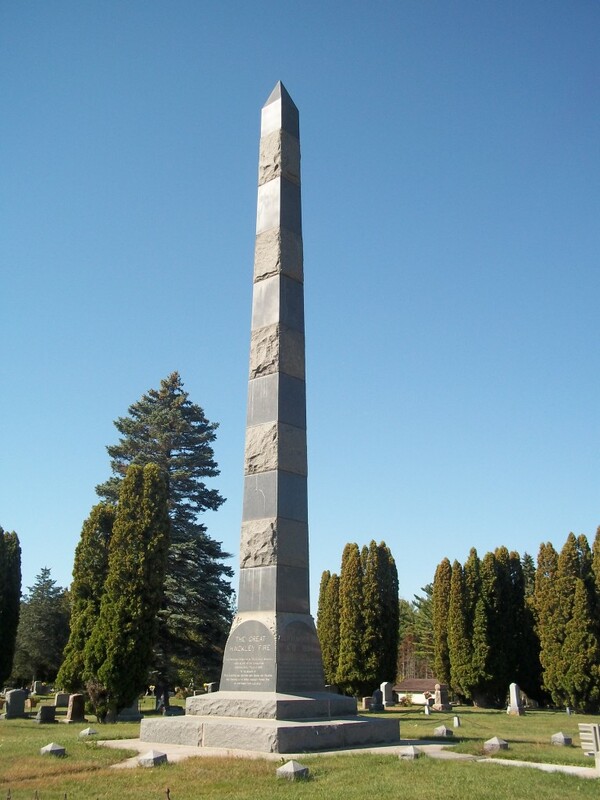 Also here is a 30-ft tall obelisk, known as the Hinckley Fire Monument that was dedicated in 1901 as a memorial to the Great Fire. 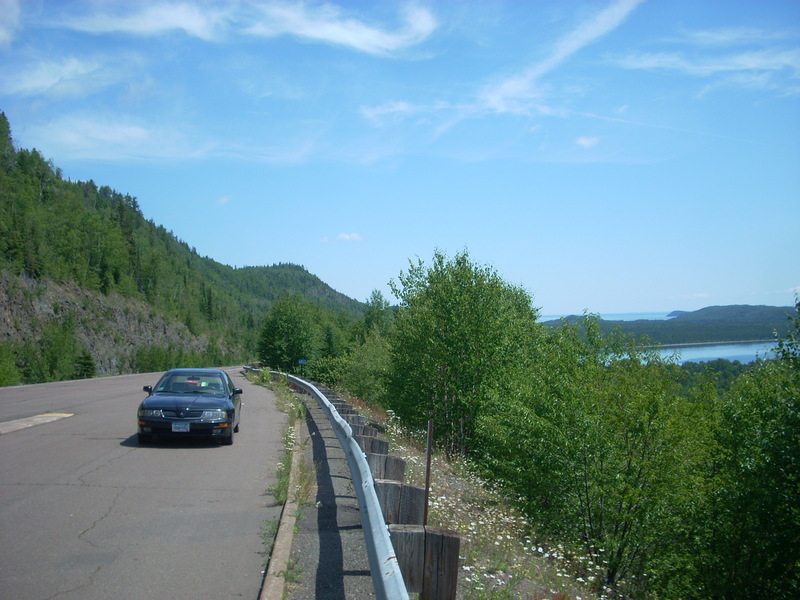 While in the area: Banning State Park is just north of town about 15 minutes which features a waterfall, scenic hikes, remnants of an old rock quarry, and kayaking opportunities along the Kettle River. Also while in Hinckley, stop by the legendary Tobie’s Bakery to try their famous caramel rolls.